"Selling out" will always be a hotly debated topic. Growing up, my friends and I would spend hours arguing about whether or not our favorite bands were sellouts. Green Day, Rancid, Bad Religion, all bands that were supposed to be so punk, yet signed on with a major label at one point in their careers. Were they sellouts? To a 16 year old, absolutely. But looking back, can you really blame them for trying to make some money? After all, music is a business just like everything else. Is LeBron James a sellout? Hell yes. Sure, he took less money to play in Miami, but LeBron's selling out doesn't have to do with the green stuff. Not only did he sell out the city of Cleveland, he sold out his own legacy and all the fans he fooled into believing he had the make up and desire to be one of the greatest players of all time and lead his own team to a championship. Now on to restaurants. Is Danny Meyer a sellout for popping out Shake Shacks faster than The Duggars pop out Mormon children? Nope, he's just an opportunistic businessman, flippin' burgers in a silly hat, Reel Big Fish style. Shacks are multiplying at record speed, across NYC and beyond. 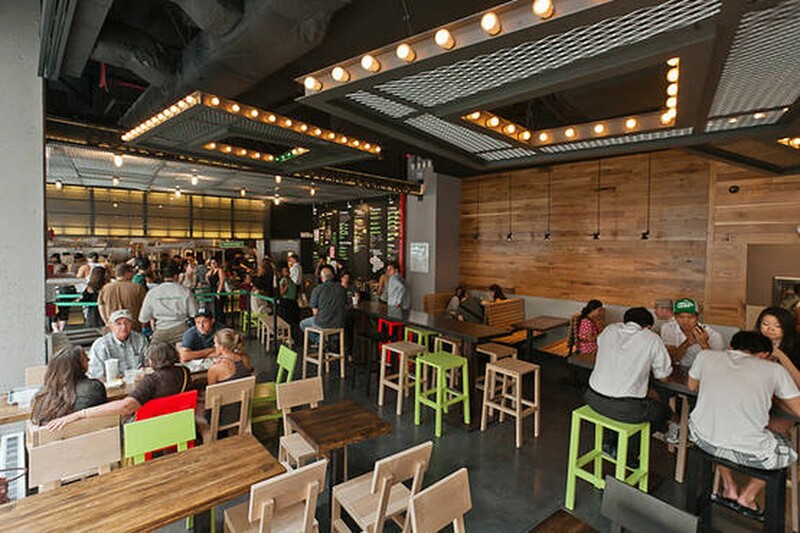 Meyer just opened a Miami Beach Shake Shack, and has plans for Washington DC, Saratoga Springs, Boston, and Dubai. We're happy to report that this increase in quantity has had no ill effects on the quality. In fact, the Double Shack Burger I recently took down at the Times Square location was hands down the best Shack Burger I've ever had in my life. Be aware going in, Shake Shack Times Square is quite the tourist attraction. As you might expect, that means insane lines, loud music and all kinds humans everywhere. But at least now all those tourists who fail to make it out of Times Square on their trip can actually get one small taste of what this city is all about. About as good as a hamburger gets. A Pat LaFrieda sirloin and brisket patty with crispy edges on a soft bun. The Shack Sauce is buttery heaven. The only downside here is that the single Shack Burger can leave you wanting more, while the double can put a hurtin' on you. A single and a half would be about perfect. Decent crinkle fries to accompany your burger. If you are really going for it, the cheese fries are pretty damn tasty too. While the burger is fantastic, the dogs at Shake Shack deserve some recognition of their own. This is a true Chicago-style dog, steamed poppy seed bun and all. A Vienna beef dog topped with some high end kraut on a potato roll. Not exactly a dirty water dog, but it's tasty. For a quick hitter in Hell's Kitchen, Island Burgers & Shakes is a decent local option. Beyond that, please do us a favor and venture elsewhere for a burger more satisfying.